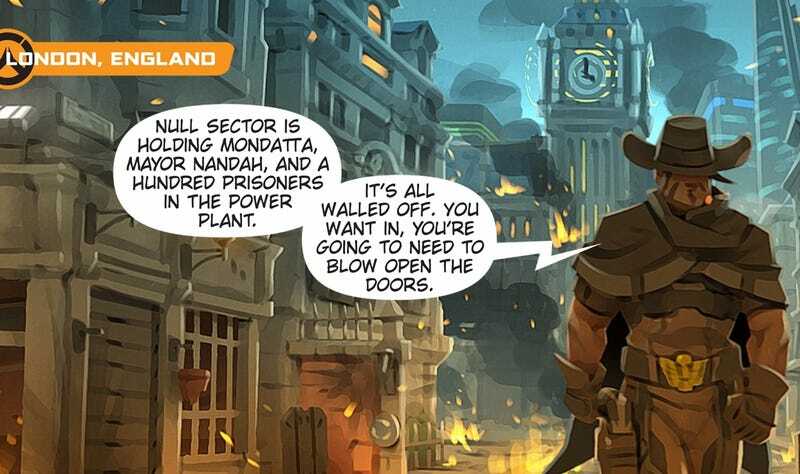 Blizzard just released a new Overwatch comic. Blizzard just released a new Overwatch comic. In it, the Overwatch team grapples with how to handle a robot uprising in London, despite the fact that they’re technically not allowed to intervene. The comic likely exists as setup for next week’s event, but it’s also just a slick comic. Check it out.